Beside using a beautiful food photography, a restaurant website layout must be effective and attractive to get more customers. 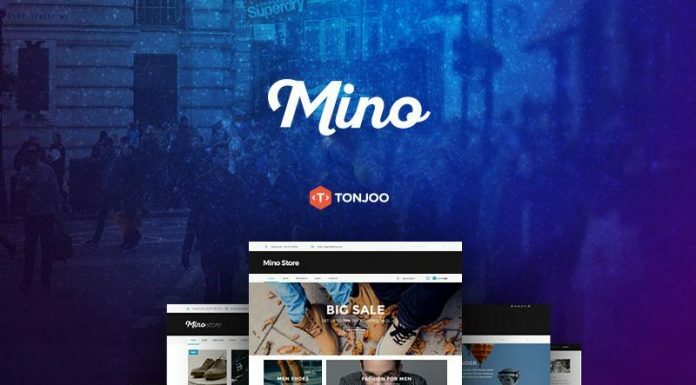 With a well-designed website user interface and easy-to-use navigation; Your site visitors will easily and confidently make a purchase. 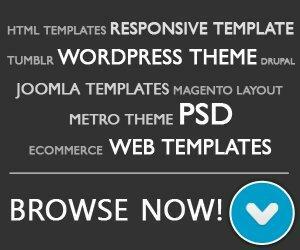 Below we have collected 10 best Joomla template restaurants that you can use for your website. 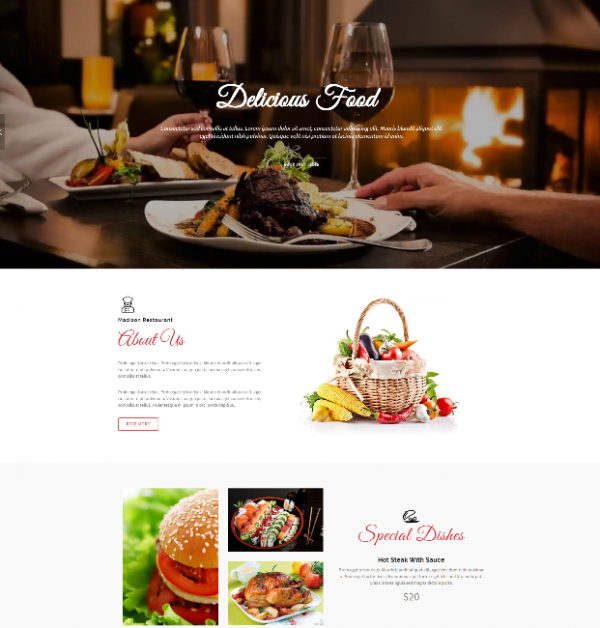 The template has a variety of design layouts to build a page to your liking, such as “contact page”, “about us”, “restaurant / food menu page” and much more. 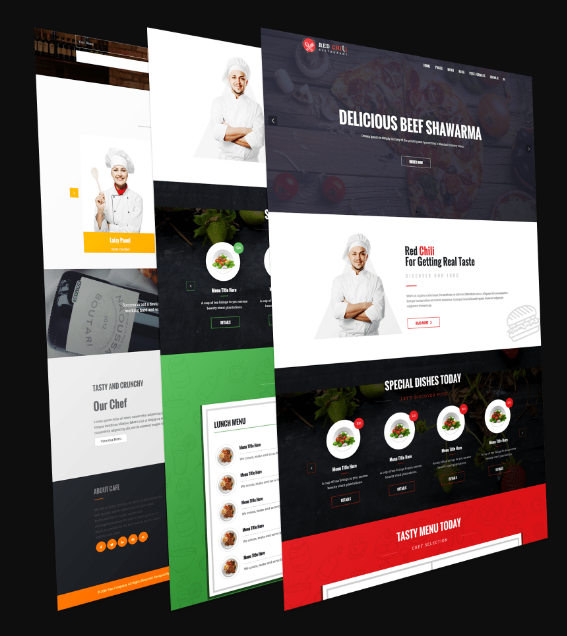 This template can be used for all restaurant types and food related websites, built with the latest web technology, mobile friendly layout and easy to customize. RedChili is a clean and modern Restaurant Joomla Template for all kinds of Restaurant websites. etc. Madison is a restaurant joomla template. 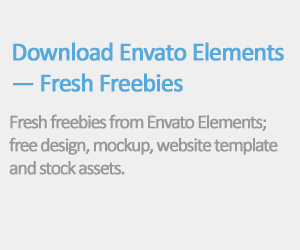 Build with pT3v3 framework and the layout is fully responsive which looks beautiful at any size. 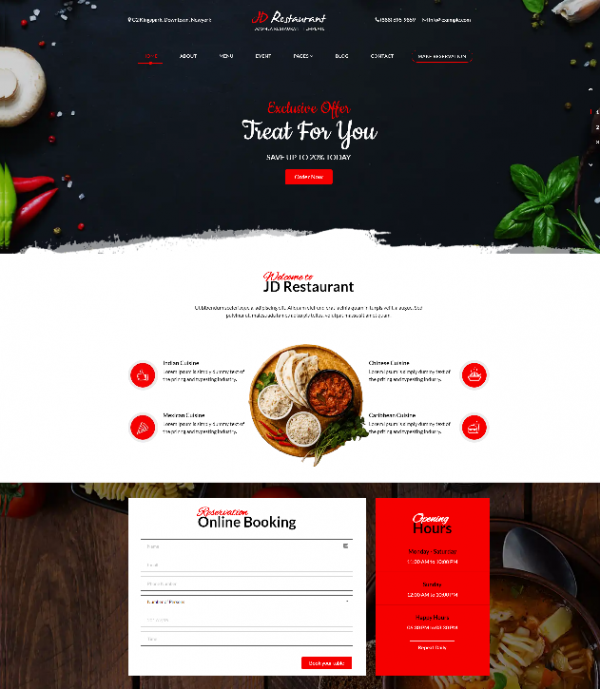 JD Restaurant Joomla Template is the ultra-responsive Joomla template specially developed for café and restaurant websites. 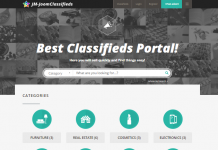 It’s clean and fancy design add more value to restaurant website. 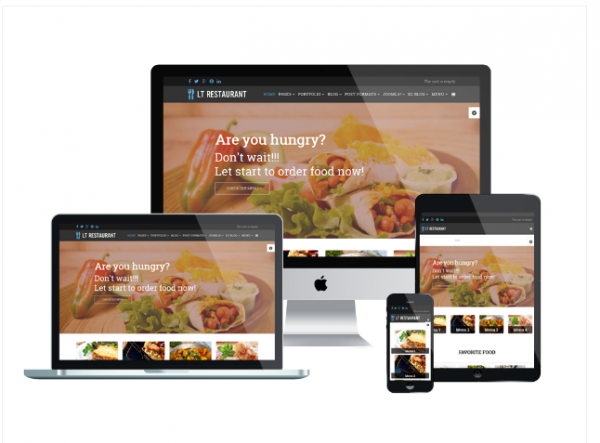 LT Restaurant is an elegant Joomla Restaurant template which is specially designed for all kinds of the food shop. This template is great to showcase and promote your unique dishes to customers. 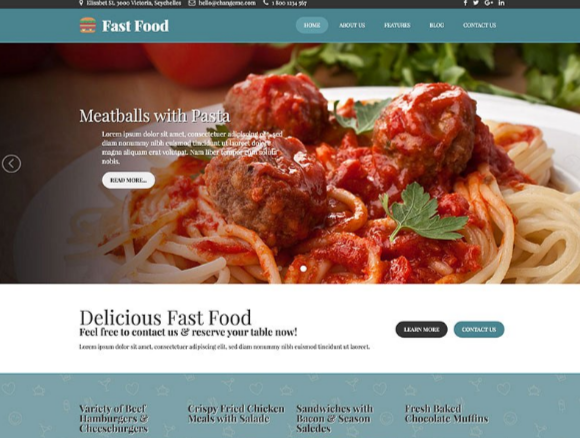 Hot Fast Food Joomla Template build with clean HTML5/CSS3 code with 5 predefined color styles. 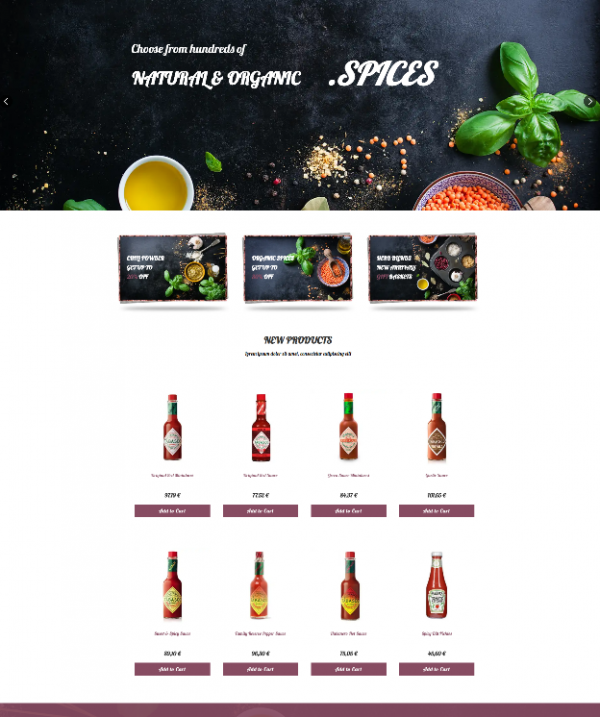 LT Taspice Free Ecommerce Joomla Template is beautiful responsive Virtuemart Joomla template tailored for spice and other food related online shop. 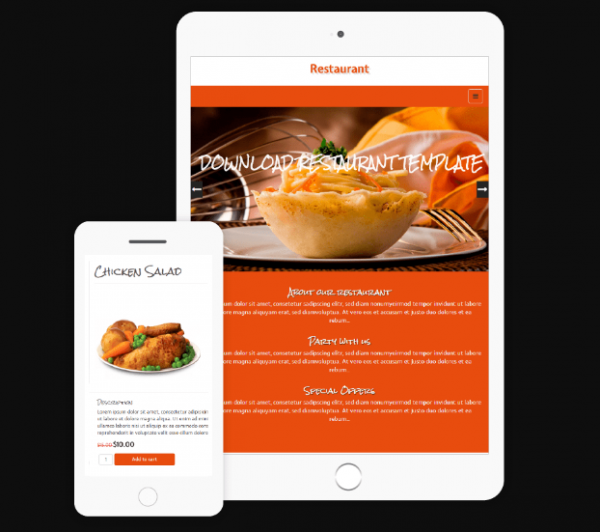 Restaurant by ThemeParrot adapts with any structure and technology as it is mobile friendly. It has a mega menu and canvas menu. 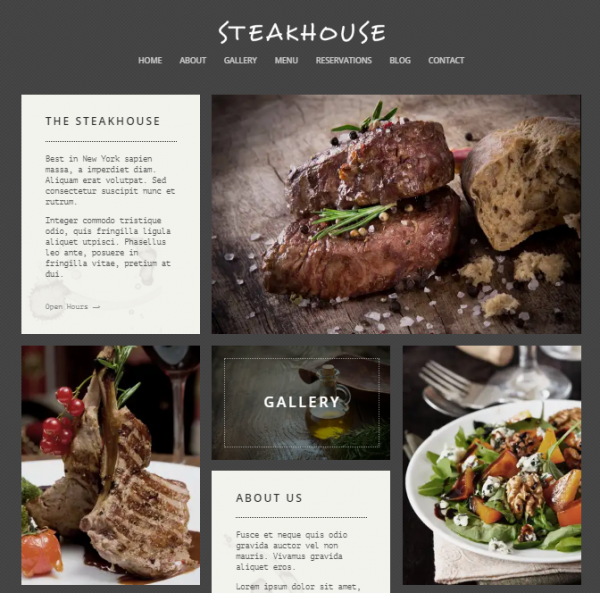 Steakhouse Responsive Retina Joomla Template is responsive and retina-ready with multiple layouts to fit your needs. 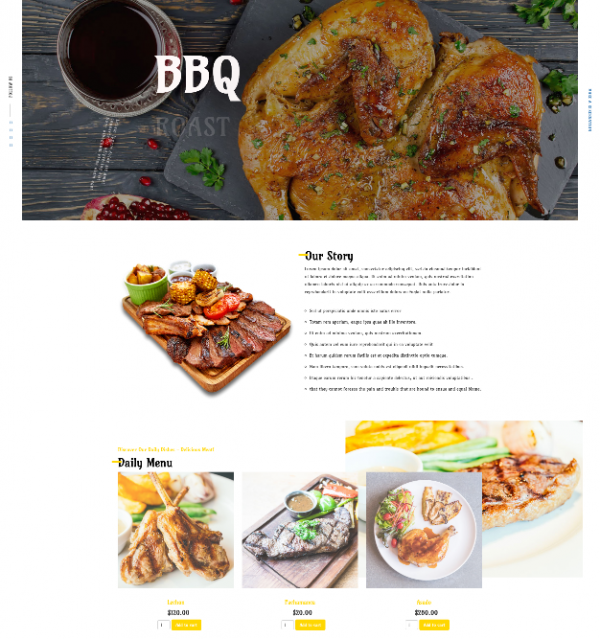 LT BBQ is a Responsive barbecue template which is nicely designed for diversity kinds of restaurant websites like barbecue restaurant, food center. 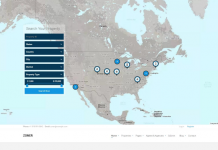 Include easy-to-use panel, widgets and modules you can use to fulfill your specific needs. 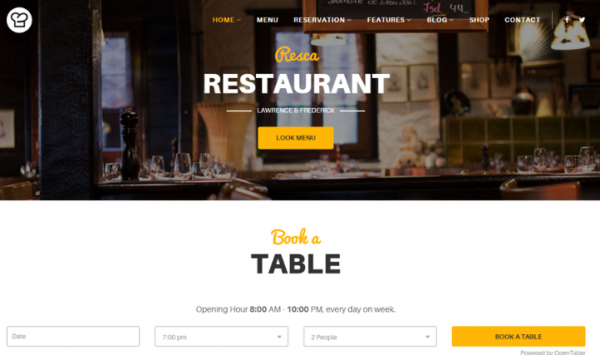 Responsive Joomla Template for Restaurant comes with menu which specially designed for any type restaurant.